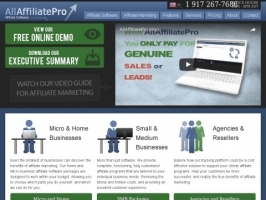 AllAffiliatePro Affiliate Program Software supplies CGI Driven Affiliate Program Software with click through, commissions, and blind links. Also Has 2nd Tier feature. Welcome noor, the newest member.